The narrator begins by explaining how investigators have assigned a reason for the death of Robert Blake but that careful inspection of Blake's journal and other circumstantial evidence tells a more supernatural and dark tale than the mere idea that he received some electrical shock that did him in. The narrator proceeds to introduce us to Blake who is a writer that dabbled in the darker tales--somewhere between horror and science fiction. He took up residence near Brown University in Providence and in his room, he could see some church tower in the distance that always draws his attention. While renting his place, he finds that hee is able to produce some rich content and it's only after a while that he can't resist the urge to visit this place that he sees from his room. He goes in search of it but finds no one willing to tell him where it is or explain what it is, even when he is in the neighborhood. When he finally finds the place, he sees that it is closed down and closed off to the general public but he does find a way in. Those in the area watch in horror as he enters the building. He makes his way round until he finds himself in the tower, where he uncovers a dead body, oddly shaped artifacts and a strange box containing a curious relic. On the corpse, he finds the manuscript of a reporter who had been discussing the history of the church and its connections to the occult. He disturbs the place and realizes that with darkness will come some kind of danger so he quickly flees. But the anxiety of what he has disturbed weighs on him. He has his own experience in dabbling with the dark arts and therefore knows there is something to be afraid of. He continues to watch the house from afar, deeply scared by what awaits him. It's at this point that he because fixated on being in the light, weary that in the darkness the creature that he has disturbed will venture out and capture him. However, during a particular brutal August thunderstorm the power appears to go out. Many believe it is aa result of the storm, but in truth, people gather in front of the church and feel the dark power stirring so that it eventually brings down the church and some essence is seen bolting forth from the church in the direct of Providence. The next day it is discovered that Blake is dead. The narrator explains that his journal which grew increasingly erratic in its final entries ends with an enigmatic message from Blake, raising question of if he has actually died or just been called to another plane by the Haunter of the Dark. I liked this story but I feel it would have been more powerful and yes, haunting, if I had read it in one sitting. Instead, it was over the course of three sittings because I was interrupted. I liked the slow build up and even the fact that though we know Blake is dead, we don't quite know what did it--thus we are left to wonder just what are those things that go bump in the night. 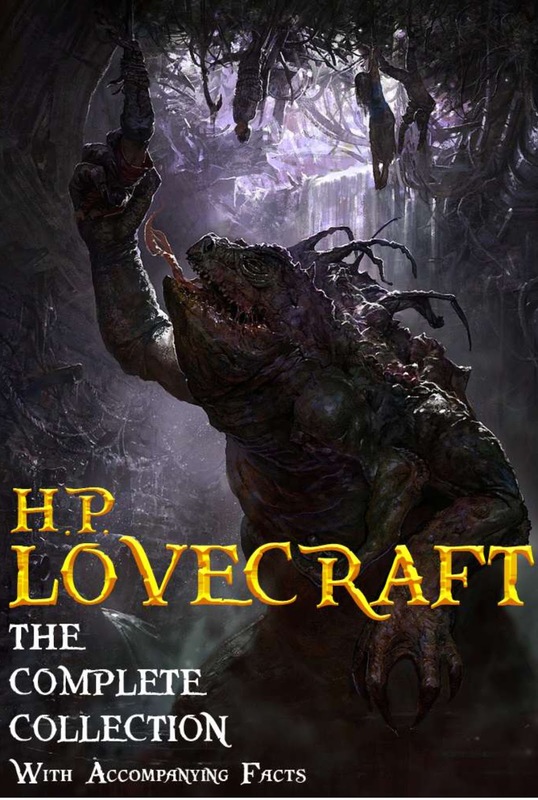 Additionally, Lovecraft plays with the audience telling us we can accept it straight according to the facts or be left to wonder if this was a case of the supernatural.